Home Tags Posts tagged with "namennennen"
“When I was in London, because they were not able to say Queralt, they called me Q,” says Queralt Rodriguez Salinas. In Berlin, Queralt has to repeat her name three to four times before people get it. Andra with her deliberately grey hair exclaims, “I’m a village girl actually!” Andra was born in Jakarta but grew up in Bandung, Indonesia. From her demeanour, you can tell that 27-year-old Andra is a vivacious person. Her eyes disappear into squints when she smiles, and she laughs straight from her belly. “I have German order,” Dat begins, an expression that seems to exemplify German language exactness. He’s a young entrepreneur and data scientist working in Kreuzberg, Berlin. 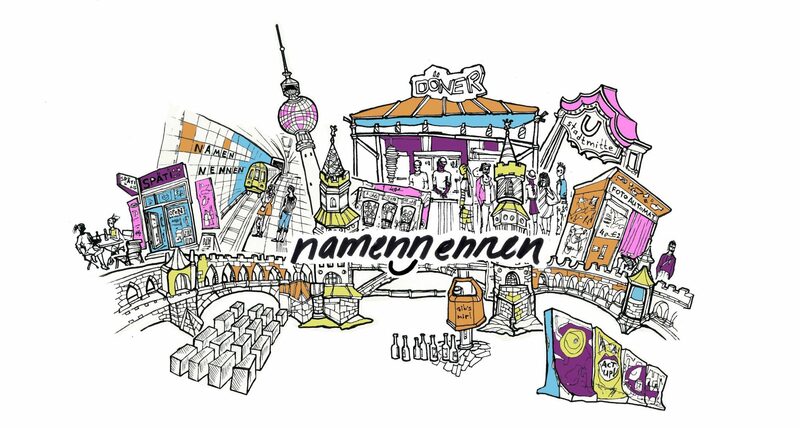 namennennen is a weekly publication on the names of Berliners. We get them to reflect on their names and what those names mean to them. As way of introduction, we’ve made a short video to give you a taste of what you can look forward to.